The 2015 Wyoming high school football season continues with Week 3. Follow the action here and include your updates and comments with #wyovarsity on Twitter. Camels start second quarter with a 50 yard punt return TD by Drayson Hladky, PAT missed. Camels lead Cheyenne South 27-0. 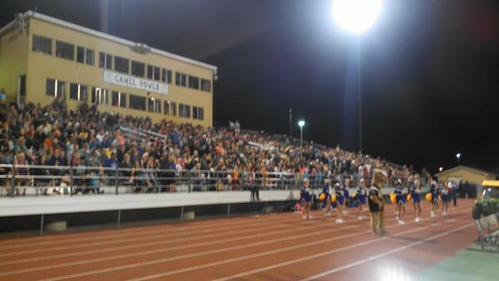 After the first quarter, the Camels lead Cheyenne South 21-0. Final per WHSAA: NSI 65, Guernsey 45. Oooohhhhh. Lingle 7, Southeast 0. 523 left in Q2. HALF: Cheyenne Central 14 Laramie 13. The Camels lead Cheyenne South at Halftime 41-3. Frisby: 10 run, 79 yds. 1/9, 0 yds.